In December 2016, the Hauraki Gulf/Tīkapa Moana marine spatial plan was released. The plan is non-statutory and non-binding. The Sea Change – Tai Timu Tai Pari project was successful in producing an aspirational and broad environmental plan. Although the final plan does not provide detailed spatial mapping, it does provide the basis for a range of management options and more detailed mapping. The overall success of the project in the long term will be determined by the extent of implementation and use of the plan for decision-making. There is a risk that, if further work and consideration of the recommendations does not occur, the money and effort spent on the project will be wasted. However, the plan is not straightforward for the agencies to implement. There are potentially large costs involved and legislative change needed. The recommendations also do not consider the agencies' existing work and statutory functions. Before the plan can be implemented, support from some significant stakeholder groups for the proposed recommendations needs to be gained – such as commercial and recreational fishing groups. In our view, there needed to be more planning for implementing the final plan at an earlier stage in the project. The Stakeholder Working Group and Project Steering Group were both disbanded when the plan was completed. There were no opportunities for discussions with the agencies on the plan and its implementation, which might have been helpful for the agencies. The agencies were responsible for implementing the plan after it was completed by the Stakeholder Working Group. Although the details of a plan will not be clear in the early stages of a project, agencies can still consider plans for implementation during the project – for example, how implementation will be resourced and who will be responsible for overseeing it. In our view, the agencies might have made implementing the plan easier if they had considered earlier the processes, accountabilities, engagement with internal and external stakeholders and project governance structures that they would need to put in place or incorporate within existing priorities and work programmes. An implementation plan was one option, which could have meant the agencies were able to respond more quickly to the plan produced by the Stakeholder Working Group. An implementation plan would set out how the agencies would work together, how those affected by the plan would be involved, and describe the role of mana whenua. Many of the people we interviewed, including some agency staff, felt that for such a plan to be successfully implemented, one agency or "body" would need to manage it. Such a body would need to ensure that the agencies worked together, collate the work of the different agencies, and hold the agencies to account for progress. Some Stakeholder Working Group representatives commented that their involvement in the project stopped when the plan was finished. They felt that the agencies could have continued to use their knowledge and detailed understanding of the final plan, and their particular expertise, when considering implementation. Representatives of the Project Steering Group also felt that they should have continued to work together after the plan had been completed to provide some oversight or input into implementation and to help communicate the plan to the wider community. When we interviewed the Stakeholder Working Group and Project Steering Group representatives between April and June 2018, they felt separated from the project since its completion. The lack of formal communication from the agencies since completion of the project has contributed to this. The agencies accept that there has been a lack of communication since the plan was completed, and that many stakeholders do not know what is happening with implementation. The agencies involved in the project each developed their own processes for considering how to implement the plan. There was a sense of frustration from many of the project's representatives that the agencies had not made more progress on implementation. 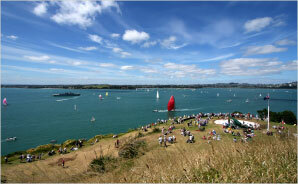 Auckland Council and Waikato Regional Council have taken different approaches to implementing the plan. Auckland Council has assessed the plan's recommendations from an objectives perspective to see how they relate to its current priorities. The Council has also created a reference group to oversee its activities and integrate those activities with other councils' and the Hauraki Gulf Forum's activities. This means that Auckland Council will address some parts of the plan in some of the work that does have priority – for example, water quality and sedimentation. The Council is not considering implementing the plan as a whole at this stage. Waikato Regional Council has considered the recommendations at a detailed level. The Council considers that it has a clear process for considering how the plan can be implemented and is "looking seriously at how Sea Change can be implemented". Waikato Regional Council is also "using [the plan] in a proactive way to inform statutory planning". In terms of implementation, Waikato Regional Council has taken each recommendation in the plan and related them to its statutory functions and its current "business-as-usual" work, and budgeted its response. The Council then created a prioritisation process, while considering existing functions. Waikato Regional Council staff are proactively talking about the plan, which has allowed other parts of the Council to consider it in their work. In contrast, the plan has less visibility throughout Auckland Council. Planning for implementation should be considered during the project, not after. Each public agency should consider how it will look at the recommendations or proposals, embed them into its existing work and priorities, assess the resourcing required, work with other agencies and decide how to share accountability, and consider the role of mana whenua. The agencies should also consider how groups who prepared the plan, those affected by the plan, and the public can provide input to implementation. 15: "Progress on Sea Change Proposals" (2018), media announcement at www.beehive.govt.nz.